Just in a great batch of custom fixed blades made by Evangelos Tsagkouros "Krypteia Knives" of Iceland. 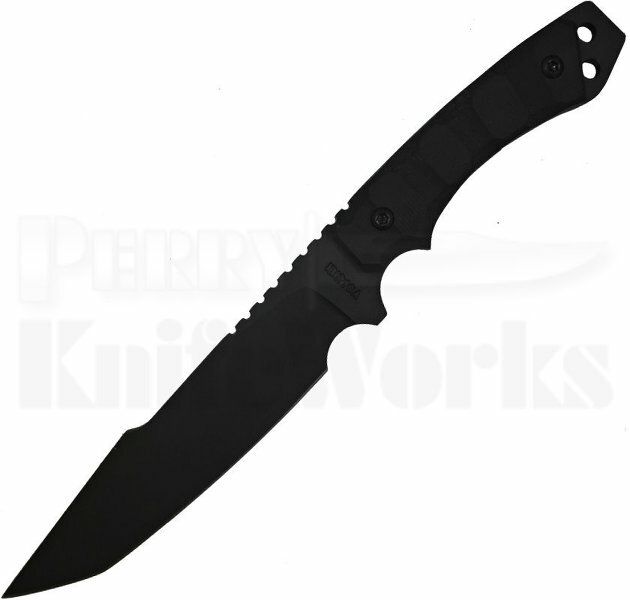 This model the Chimera fixed blade knife is made of O1 tool steel with a black cerakote finish drop point blade and contoured black G-10 handles. Comes with a black kydex sheath. The Chimera according to Greekmythology, a monstrous fire-breathing hybrid creature of Lycia in Asia Minor, composed of the parts of more than one animal. It is usually depicted as alion, with the head of a goat arising from its back, and a tail that might end with a snake's head, and was one of the offspring of Typhon and Echidna and a sibling of such monsters as Cerberus and the Lernaean Hydra. from where we can check image please share any link.